THIS IS A NON SMOKING UNIT and PETS ARE NOT ALLOWED. ALL RENTAL WEEKS ARE SET UP FOR CHECK-IN ON SATURDAY AND CHECK-OUT ON SATURDAY. 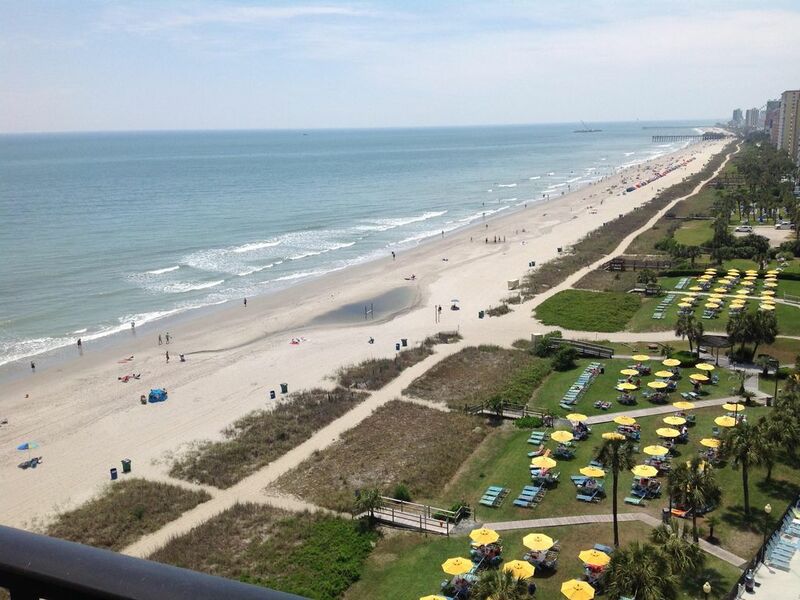 Direct beach front and centrally located in Myrtle Beach with the best ocean and beach views in Myrtle Beach. Each bathroom has a tub with shower. Located ten blocks north of the Myrtle Beach Board Walk. Located at the Palms Resort, Myrtle Beach. Direct Ocean Front With Fantastic Views. Full Size Front Load Washer, new 2017. Full Size Front Load Dryer, new 2017. Fitness Center with Tread Mill and Weight Exercise Machine. New stainless steel Stove with Oven. Kitchen is completely furnished including wine glasses. Seating for six at dining table. Seating for two at kitchen bar. Cable TV provided in living area, mater bedroom and queen bedroom. DVD player located in living area. Condo has two Ocean Front Balconies. Chairs and table provided. Complex has one outdoor Hot Tub. 4 ceiling fans, 3 Flat Panel TV's (with cable or satellite), Free WiFi, Pool, Hot Tub or Jacuzzi, Linens and Free departure cleaning provided , Indoor/Outdoor Pools & Hot tubs, 2 Oceanfront Balconies. Myrtle Beach. The condo is located within easy walking distance of the Boardwalk, Sky Wheel, fine restaurants, shopping and the Myrtle Beach Convention Center.